ELIZABETH REID (ABELS) (1818 – aft 1860) was born in Oglethorpe County, Georgia the youngest child of record of Jacob Reid and Elizabeth Mary Staton. Eliza, as she was known, was raised in Oglethorpe County with her older siblings until sometime after 1830. From then until her marriage in 1839 we’re not absolutely certain where, or with whom, she lived. She may have remained with Jacob and Mary for most of those years, but records indicate that she was living in Greene County, Georgia when she married William Abels on 24 Jan 1839. The law of the day required that a marriage take place in the county of residence of the bride, and if under the age of 21, that her father or guardian provide written consent. Eliza was near her 21st birthday when she married, but may not have actually been 21 at the time. Her father, Jacob, was still living in Oglethorpe County at the time of her marriage. If Eliza were under the age of 21, she would have been in contact with Jacob to obtain his written consent. Interestingly, tax and census records indicate that in the first two years of their marriage, Eliza and William lived in the Glade District of Oglethorpe County, very nearby Eliza’s oldest brother, William who was living in neighboring Grove Creek district. It was while living in Glade in 1840 that their first child, daughter Eleanor, was born. 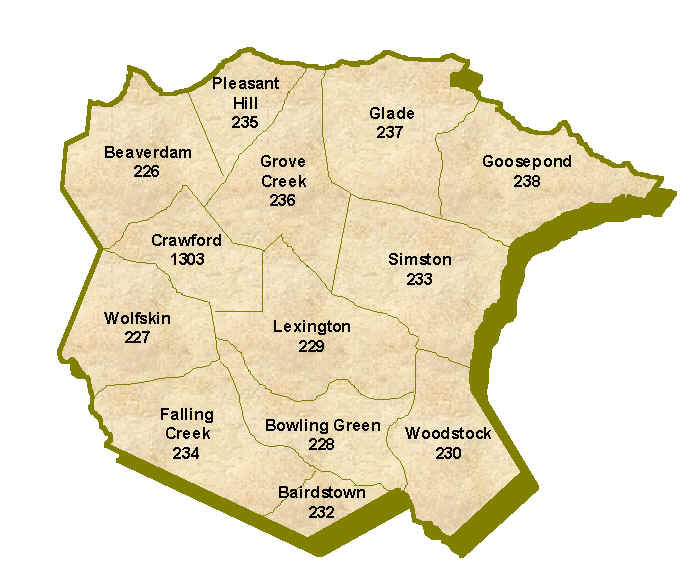 In 1841 Eliza and William had moved to Grove Creek, the same district that Eliza’s brother William was living in the year previous. The poll tax record of that year reveals another perplexing fact: another taxable adult male is reported as living in their home. In Georgia, a poll tax was levied on all adult males age 21-60, without regard to property or marital status. We’re not certain where Eliza’s father, Jacob, was living at the time, but since he was born in 1769, Jacob should not have been subject to the poll tax of that year. It’s possible an error was made, and if so, it would offer insight as to where Jacob was living after his appearance in the 1840 census. If by 1841 Jacob had become too infirm to remain on his own property, he may have began to live with his children. Certainly, in subsequent years we know that to be true. Eliza and William may have been the first of Jacob’s children to host and care for him in his declining years. Eliza and William were living in Grove Creek in 1842, when their first son, Arthur J was born. Circumstances must have changed thereafter. In 1843, for reasons unknown, Eliza and William moved to South Carolina to join other Abels family members. They remained in South Carolina for the next 4 years where their next two children were born. Daughter Hulda Harriett was born in 1844, and son James was born in 1846. In 1847 Eliza and William left South Carolina and returned to Georgia where they joined her sister, Nancy Reid Ables and husband John, in Sandy Creek, Clarke County, Georgia. Tax and census records indicate that Eliza and William remained in Sandy Creek until sometime after 1850. While living there, son Cornelius and daughter Frances were born. Hulda Harriett Abels (1844 – unknown), born in South Carolina. Harriett married J.R. Holt on 11 May 1863 in Fulton County, Georgia. 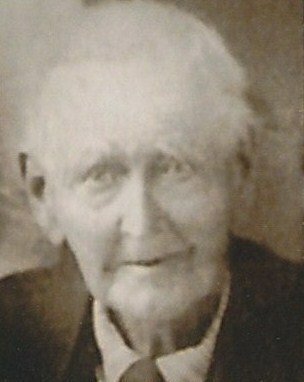 James Abels (1846 – unknown), born in South Carolina. Eliza and William lived in Clarke County until sometime after 1850, then moved on to Atlanta, Fulton County, Georgia by 1860 where they last appear in a state or federal census. 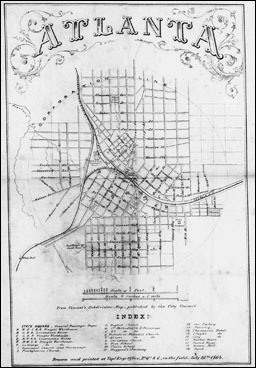 Atlanta was ravaged by Union soldiers during the Civil War, resulting in many of its residents being displaced, and important landmarks and records destroyed. Eliza and William may have remained in Fulton County, but there is no evidence of that. Their son Cornelius appears in the 1870 census living in Atlanta with his wife Catherine. Cornelius also appears in Atlanta in 1886 in a city directory, listing him as a brick mason, a skill he obtained from his father, William, who was also a stone and brick mason. Unfortunately, what became of Eliza, William, and their other children after 1860 is currently unknown.